Good morning everyone! I’m on an international adventure right now, so Ask the Readers will return next week. Today, my friend Chad Carson steps in. Chad is an accomplished fellow and someone you should pay attention too. He was a division 1 football player and Rhodes Scholar finalist. Chad decided to skip medical school and focus on entrepreneurial pursuits. Today, he owns 90 properties with his business partner. Real estate is a diverse investment strategy with many different methods to make money. Some strategies may be good for you, some may not. Chad’s goal in this post is to explain the best strategies and help you figure out which may work for you. I hope you enjoy Chad’s article today! Right now Mr. 1500 is probably roaming around in an Ecuadorian cloud forest at the 2016 Chautauqua with Jlcollinsnh, the Mad Fientist, and Mr. Money Mustache. While he and other early retirement luminaries solve the world’s problems from a mountain top, he has trusted me with the keys to his site for a week. Lucky me! Recently I had the pleasure of hanging out with Mr. and Mrs. 1500 while drinking craft beer at Stone Brewery in San Diego. 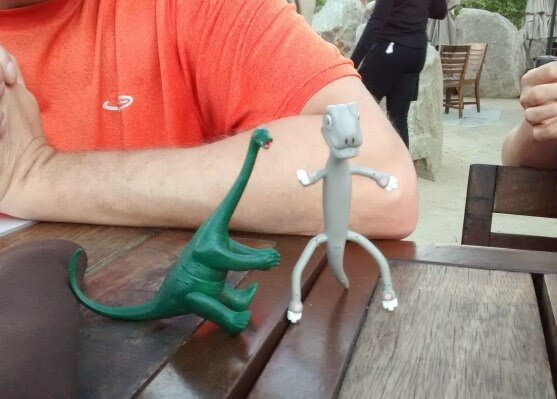 Frugalsaurus and Spend0saurus even made a surprise appearance. I quickly took a picture for proof before Spendosaurus scurried off to buy overpriced t-shirts at a tourist trap nearby. When fellow early retirement bloggers get together, the conversations are always fun and lively (especially while drinking beer). Of course, we talked about our families, outdoors, travel, personal finance, and philosophies on life. But inevitably we came back to a passion we share – real estate investing. Real estate investing has helped each of us build wealth and move towards early retirement. I wrote another guest post about the specific benefits of using real estate to retire early. The interesting thing about Mr. and Mrs. 1500’s story and mine is that we’ve used real estate in different ways. Over the last 14 years, a business partner and I bought and sold (aka flipped) properties to pay the bills and to build cash savings. Along the way we bought rental properties to grow our wealth, and we’ve used those rentals to replace our need to actively earn income. 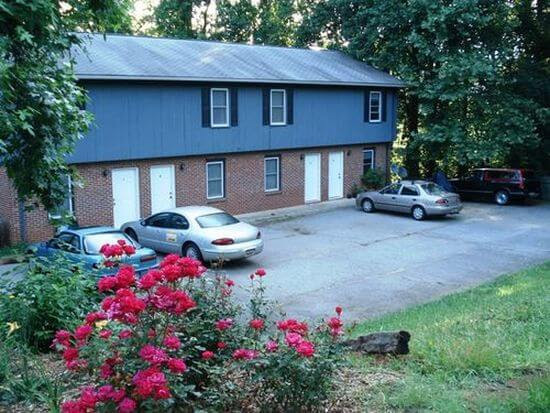 Today we own 90 rental units in a small college town in South Carolina. Mr. and Mrs. 1500 worked jobs outside of real estate, but on the side, they flipped their residence every two years and took advantage of the most lucrative section of the U.S. tax code. In the process, they built massive wealth tax-free. They currently invest most of that wealth in the stock market. It turns out there are many different strategies to retire early using real estate investing. Our stories are only two specific examples. Real estate early retirees vary from people like me with many rental units to extremely part time investors with one or two properties. The common theme with all of the real estate strategies is the wealth and income produced. These real estate investments free you from the need to “make a dying” at a job. And although real estate investing has the reputation for being less passive than alternatives, I can assure you from personal experience that with a little preparation and a few systems you can be as free and flexible as you like. In the rest of this article, I’d like to give you a list of my favorite strategies for using real estate to retire early. And if you’re so inclined, I’d like to help you pick the best strategy for yourself. But before we dig into the real estate investing details, let’s first look at the fundamentals of building wealth. Stages 1 and 2 would have been the same whether I invested in real estate or not. They included steps like getting my bills paid, saving cash reserves, learning to live frugally, and increasing my income by improving my job skills. Stage 3 was all about increasing my savings rate (thanks, Mr. Money Mustache), which is the primary driver of early retirement no matter what strategy you use. Although real estate could be used as a full-time or part-time job in the first three stages, for most people it’s actually not the best time to begin buying investments. Instead, real estate investing really shines in stage 4 (growth) and stage 5 (income). Growth is taking a $100,000 nest-egg and turning it into $1 million. In this article, I’ll share some specific real estate strategies to accomplish this. Income is turning a chunk of existing wealth into regular income that can be used to fund your lifestyle. It’s the stage that forever breaks the bonds of trading hours for dollars at a job. I’ll also share some examples of using real estate to accomplish this goal. So, which wealth stage would you place yourself in? Just pick whatever seems the best fit for now. This choice will help you focus as we explore the different real estate strategies for growth and income below. Remember that the goal for growth strategies is to turn a smaller nest egg into a much bigger one. This objective is one part offense, as in making good returns. But the second part is defense, which means avoiding risky moves that will send you sliding back down the wealth building mountain. Here are several real estate strategies that I think meet both of those criteria. You may be familiar with this strategy. It’s the one that Mr. and Mrs. 1500 used to accumulate a large chunk of their own million+ dollar net worth. A recent guest post on my site shares the details and before-after photos of their house-flipping story. With live-in flips, you purchase a house that needs work or that has the potential to add value in some other way. For example, you could remodel the kitchen, open up the floor plan, improve curb appeal, or upgrade the baths, flooring, paint, light fixtures, plumbing fixtures, and other cosmetics of the house. I’ve also known people who look for smaller houses in popular neighborhoods that can be added onto. If you can add a master bedroom suite for $125 per square foot and the addition adds $200 per square foot of value to the home, it’s a profitable project. The bonus for live-in flips is their tax advantages. As of this writing in the U.S., gains up to $250,000 for an individual and $500,000 for a couple filing jointly can be earned tax-free. I’m not as familiar with Canadian tax laws, but Canadians seem to enjoy a similar benefit. You probably already know the power of tax-free compounding of growth. It’s the reason so many people invest in 401ks and IRAs. This is a real estate strategy that benefits from the same principle. House hacking is my favorite way to get into the rental property game. It just means that you live in a property that allows you to rent part of it to others. For example, you could live in one apartment of a duplex, triplex, or quadruplex and rent out the other units. Or you could get more creative and rent your garage apartment to a grad student, use AirBnB to rent out your basement, or install a Yurt in your backyard for vacationers (yeah, that’s a thing). My second residence was a house hack. I lived in one unit of a 4-unit building, and I rented the other three out. Instead of a housing expense, I actually had a housing profit of over $200/month! This is not an isolated example, by the way. See my friend Brandon Turner’s popular article on Bigger Pockets, How to Hack Your Housing and Get Paid to Live for Free. Of course, this strategy requires some sacrifice. You’ll have to live next to other people, and those tenants will know you’re the landlord. But I actually made wonderful friendships with some of the tenants who were also my neighbors. And the elimination of a housing expense makes up for any potential headaches. Once you’re ready to stop house hacking, the property transitions perfectly into a long-term rental. Your owner occupant financing can be kept in place, and the building should cash flow even better now that you can rent the extra space. A basic rental strategy is to buy a rental, hold it, amortize your loan, and let rents and prices appreciate over time. This is not a bad strategy. In the right locations, it will work very well over 20-30 years. But there is a better way for those seeking early retirement. The approach is called a rental debt snowball. I’ll explain it briefly here, but I also wrote an article with a more detailed example of a rental debt snowball (including spreadsheets). Essentially you buy a certain number of rental properties that will meet your goals. As an example, let’s say you buy three. I’ll assume each rental has positive cash flow of $200/month ($600/month total) and that you use long-term, 30-year mortgages with $500 payments to buy the properties. The snowball comes into play when you reinvest all of the extra cash flow (plus any other cash you can spare) to attack one debt at a time. The extra principle payments quickly pay off the first loan, which then frees up another $500/month to add to the next loan. Like a growing snowball, each loan gets paid off faster than the one before until all properties are owned free and clear of debt. The beauty of this strategy is steady and then accelerating progress towards a goal. It’s not uncommon to complete a snowball plan within 7-15 years instead of the typical 20-30 year real estate plan. In this way, rentals basically become a vehicle for you to invest and grow your upfront and ongoing savings. The end result is a portfolio of low-risk, high cash flow properties. Are you a debt-averse investor? Has all of this talk about mortgages made your palms sweaty? If so, real estate can still work just fine to grow your wealth. You’ll just need to use an all-cash plan where you pay cash for properties, save up all of your net earnings, and reinvest them into more properties. I have personally used debt to grow my non-retirement account portfolio of rentals. But Dave Ramsey and many other wealthy real estate investors have done incredibly well by simply paying cash for properties. This article I wrote shows how well this simple, all-cash plan can work over time. Investing with all cash may limit the size, location, and timing of the properties you can buy because your cash funds are limited. This may work fine if you’re patient and don’t mind building up your cash before buying. But you can also consider getting more creative by using partners. If you have $75,000 and a partner has $75,000, you could buy a $150,000 property together and start much sooner. Most people invest their 401k and IRA retirement accounts in traditional assets like stocks, bonds, and mutual funds. But few people realize that they can also be self-directed to invest in alternative assets like private loans, tax liens, limited partnerships, and real estate. Smaller, more specialized custodians offer these options, so it’s not as widely known. I use American IRA, but there are also many others. If you do choose to invest your self-directed IRA in real estate (I have done it for almost 14 years), I recommend focusing on loans. Being a lender is more passive and exposes your retirement account to fewer risks and hassles associated with actual ownership. This works by finding other real estate entrepreneurs who need loans to fund their own deals. For example, with some of my first real estate deals, I was the entrepreneur who helped another local investor grow his IRA. I bought a property to fix and flip, and his self-directed IRA funded my purchase and repairs. I paid his IRA 10% interest, and when I sold the property, I paid his IRA the principal back. More recently I’ve done a similar arrangement with rental properties. The IRA of a private investor funds between 50-70% of the purchase price on rental properties. Then I pay the IRA a steady monthly payment at 6% interest. The private investor enjoys the completely passive returns, and he also sleeps well at night knowing his investment has good collateral in the form of real estate at a low loan to value ratio. I tell them that if I get run over by a bus (likely on one of my international adventures), he will have a solid margin of safety to recover his capital. This strategy works well for growth because 100% of the earnings stay inside of your IRA account and grow tax-free. If the interest was earned outside of your IRA account, you’d be subject to ordinary income tax rates without any of the typical shelter provided by depreciation from rental properties. In the last section, all of the strategies were about growth. But what is the goal of this growth? Is it just to get a big net worth to brag about? At least in my case, the goal is to live more and do more of what matters! And for that, I need time and flexibility. And to get time and flexibility using real estate, I need income. This shift is sometimes harder than it sounds. Slowing down the chase after growth and switching to a focus on income and stability is not natural. It’s easy to rationalize the status quo and just keep growing for years. Luckily, real estate transitions well between the two stages. During the growth phase, that income was reinvested to pay off debt or to buy more properties. But during the Income phase, you can optimize your real estate portfolio to produce income to cover your personal overhead. Here are a few strategies to do that. More than a strategy, this is a goal that helps guide you in the growth strategies above. It also gives you a quantifiable target that helps you to say “enough” once you reach it. The free and clear goal begins by figuring out how much money you need to live. Then you figure out how many rental properties, free and clear of all debt, you need in order to pay for those living expenses. For example, if you need $3,000 per month to live, how many rentals will you need? Let’s assume you have rentals with $1,000 per month rent and 50% goes out the door to expenses, vacancy, management, etc. So, each property gives you $500 per month. Your free and clear goal would be 6 rental properties free and clear of all debt ($500 x 6 = $3,000 per month). I’ve ignored income taxes in this case because I assume you’re in a lower tax bracket and also benefit from depreciation shelter of some of that rental income. But you can bump your goal up if you need more cushion. Some people will also not like the idea of zero debt. They want the benefit of some leverage to hedge potential inflation or to continue growing. You can still use the same principle and adjust your goals using more properties with some leverage. But the point is that you work all of your real estate activity backward from an income goal. And you arrive at a place that has much lower risk and a much higher income. That clarity, focus, and practicality serves your early retirement plans very well. Using a debt snowball was first and foremost about growing your wealth. But it actually served another purpose because the end result was income and equity from free and clear rental properties. So, the snowball plan would also transition nicely into the Income stage. You would just need to finish the debt snowball and make sure it meets your free and clear goal above. Some of you won’t or can’t do the debt snowball. Maybe your rental properties don’t cash flow enough because the prices are too high. Or maybe the loans are just too big to get them paid off before your target date to start using the income for early retirement. In those cases, you could adjust your strategy to the Buy 3, Sell 2, Keep 1 plan. With this plan you buy 3 properties, sell 2 in order to generate profits, and reinvest the gains to pay off the loan on the remaining property. Instead of rental income, this plan focuses more on the built-in equity from buying properties below their full value. It also benefits from amortization of loans and from any passive appreciation in the overall real estate market. My business partner and I used this strategy very heavily in the first 10 years of our real estate business. We bought many more properties than we needed, we held them short-term as rentals, and we sold them within 2-5 years in order to capture our profit. After we sold, we typically used the net profits to pay off debt on properties we wanted to keep. As a result, we ended up with a smaller number of properties, less debt, and a larger amount of income. There is risk in this strategy because it typically involves more leverage during the acquisition of the larger number of properties. You also face a tax liability on the final sale which eats into your profits. But both challenges can me minimized with careful planning. For example, some of my properties were sold when I was in a low tax bracket and I paid 0% capital gains in those years. In other cases where my income was too high, the end benefit was still often worth paying the relatively low capital gains tax (in comparison to ordinary income rates at that time) . During 2009 in the depths of the recession, my wife and I actually took a 4-month mini-retirement trip to Spain and South America. During that time, our real estate business produced some income to sustain us without having to flip houses. We did this by converting some of our rentals with average cash flow into seller financing with much better cash flow. This strategy works well if you are transitioning to early retirement or even at an earlier stage when you want to take a break (which was our situation). For example, let’s say you have a house that rents for $1,000 per month. Your tenants have paid you well for 5 years, and they would like to buy the home from you. But their self-employed income and lack of 20% down payment limit their options in the traditional financing market. Your tenants get to buy a house they love and lock in long-term financing with only a 10% down payment. You convert a rental that probably produced $500 per month (assuming no debt and 50% rule on $1,000 rent) into a 20-year income stream of $967 per month. That’s basically double the monthly income! You now own a promissory note secured by a mortgage on your old property. And you also get $15,000 cash up front to use for current needs or for reserves (definitely a good idea in case of non-payment). If you owned three properties like this, you could build a $3,000/month income stream to support you for a long time. In my market, I would probably only have to invest $300,000 – $330,000 to acquire those three properties. Not bad income for a relatively small nest egg! Just like the growth strategy of loaning money from your self-directed IRA, you could choose to loan money outside of your retirement accounts in order to produce income. I already described how the loans work above, but in this case, you get to use the interest income before the traditional withdrawal age of 59.5 years old in retirement accounts. Remember, the whole point is to free you from the need to produce income at a job. While my experience has only been making direct loans to individuals locally, many others, including Mr. and Mrs. 1500, use a variation of this through online crowd funding outlets like Lending Club. There are also many real estate focused crowd funding companies that allow you to make loans or invest as equity partners. I don’t have any experience yet with online lending, so definitely do your homework. And with direct loans or crowd funding, make sure you get expert advice before beginning. Despite its potential benefits, it’s not a strategy to take on lightly. What’s the Best Strategy For YOU? Writing blog articles, even ones as long as this (thanks for sticking with me! ), are relatively easy compared to real life. Because in the real world, you have to match these strategies to the unique constellation of factors called your life. Choose a wealth stage to help you focus. Choose a strategy that gets you excited. If it’s not fun, you probably won’t stick with it. Learn more about that strategy using the links I provided or other online real estate resources. Write a short business plan (like 1 page) with the likely next projects and next actions. This form of investing in real estate is very entrepreneurial. That means it’s not for everyone. But for others, like the 1500s and me, it’s been a central tool in our journey to early retirement. I wish you must success in your real estate and early retirement adventures! Is real estate the right tool to help you reach early retirement? If so, what strategy is best for you? Have you had experience with any of the strategies I’ve shared? I’d love to get your thoughts or questions in the comments section below. Awesome article, Chad! 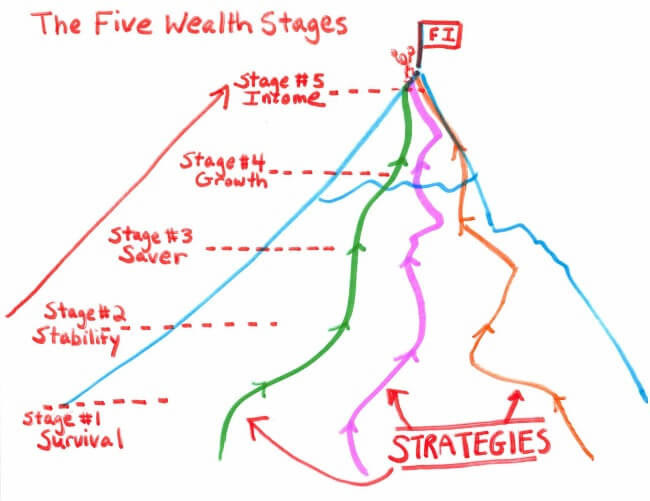 I really like the 5 Wealth Stages illustration you drew out. For me, I’m somewhere in between stage 4 & 5. I started a business in my mid-20’s and exited 10 years later. Along the way I’ve tried to diversify some of those business profits into a few properties and it’s been great so far. While the values are high, I’d like to be more balanced with incoming cash flow. So, I am definitely looking to be more aggressive during the next down cycle. I like the rental debt snowball idea. It makes a lot of sense! Thanks Michael! Your journey is a great example of the use of real estate. Make money in another business, put the profits into real estate, and use to grow and/or live off the income. I think your situation with higher equity and not as much cash flow is common, especially in higher priced markets. This is where eventually deleveraging (at least some) can contribute to an increase in cash flow. The seller financing/rent to own type idea sounds very appealing and seem so like it would also do an effective job of locking in tenants until the property is completely sold unlike a traditional rent obligation. It also would appear to give the buyers extra incentive to not trash the place. Do you prefer the approach of an outright sale, or do you go for something like rent to own when you structure where repairs and such are still yours and they can’t refinance? I can see benefits of either approach. Good question, Full Time Finance. I look at rent-to-own (aka a Lease Option) and Seller Financing a little differently. Seller financing, which I discussed in the article, is a long-term arrangement designed to produce steady income for us as the seller. As you alluded to, lease options are more of a short-term method for selling your property. You get an option deposit (usually 3-5% of the sale price), and then lease the property for 1-2 years until the tenant-buyer can get a loan to cash you out. I have used lease options a lot in the past. In many cases they help you sell at a top price without having to pay real estate commissions or having the property sit on the market vacant for long periods of time. But if timing is very important, you might want to go with an outright sale (that’s been the case for me in the last couple of years). A lot of lease option buyers flake out or change their mind. You can keep their 3-5% option deposit, but then you’ll need to start over again. Great post, Chad. Tons of info and strategies which is very helpful. I’m not into RE today, but could see that as an avenue in the future as I finish the growth stage and enter the income stage. I particularly like the house hack option. I’ve always been a fan of this ever since I first heard about it from my Dad years ago (he actually did this for a while). And I also like the self-directed IRA option. That can be a great avenue to really boost the investments in a very tax efficient way, assuming your successful in driving growth and appreciation through the RE. It’s also great for other small business opportunities. Thanks again for the great post, you give my lots to think about! Thanks Green Swan! Your example is why I wanted to emphasize that real estate can benefit people in many different ways, at different stages of their wealth cycle. Many wealthy individuals do like you’ve stated, where you build wealth with other means and then diversify into real estate for income and hedging. Agree on house hacks. They are such a wonderful investing and lifestyle tool. I wish every young professional would begin with house hacking instead of purchasing McMansions, as is the norm these days. That alone would change the economic prospects of so many. We are actually house hacking at the moment. Getting close to being cash-flow positive on the building, while living here ourselves too. Loving the Stage 4 of the wealth “mountain”. Yeah, the U.S. as a whole certainly has the perfect storm of easy financing and relatively affordable housing prices (except the big cities). Congrats on the house hack! I’m curious how you found your deal, and what the numbers look like with a property in the Netherlands? It sounds like you’ve figured out the alternative financing routes. I’ve not used crowdfunding, but I did use a lot of seller financing, lease options, and private financing to get myself started. The standard approach is to use mortgage company, but I’ve found alternative finding to be much more fun and more of a win-win partnership. One of the things she discussed is how to buy multiple properties with VA loans. It can be done, but there is a cap in the total loan amount. Best of luck! I look forward to following your progress with the house hack. Wow, that’s an excellent and very detailed article! I’m looking to enter into the rental market next year and I have already learned a lot from this post. I love the rental debt snowball effect. Thanks a million for sharing! Awesome, Roadrunner! Good luck entering the real estate rental market. It will require some planning and market study up front, but once you get going things flow much easier. Great collection of strategies Chad! Some of these I’ve never heard of before. While I’m more of a REIT real estate investor right now, I might be interested in doing one of more of these in the future. With so many strategies, I suppose that also means there’s plenty of ways to screw it up too. What would you recommend to someone with plenty of money, but not decades of real estate experience? Thanks, Mr. Tako! You’re right that I’ve given a big collection of strategies. I definitely recommend focusing and niching down in order to minimize mistakes. If possible, I’d start local with whichever strategy you choose. Real estate is wonderful in part because its fundamentals are intuitive. The best neighborhoods, school districts, and amenities that attract you to a residence will be the same qualities that make a good investment. The main difference is that you of course also need to look at financial fundamentals, but that will probably be no problem in your case. Yields, P/E ratios, free cash flow, and other important ratios of REITS and index funds can be translated quickly to local real estate. You want to do your best to match quality real estate with reasonable yields. That’s the entire essence of the game. I’d also enlist the help of a local real estate agent early on to evaluate values and rents. 99% of agents don’t understand investments like they should, but the 1% are like gold for a new investor. If you wanted to invest in Texas, for example, a local agent and blogger friend of mine named Erion (https://investingarchitect.com/) is one of the 1% for sure. I love the list of different real estate strategies that you have provided. They are very helpful, thanks for sharing! Thank you for reading, Laurie! Thank you for this well written article. I’m not using RE as a tool on my path to FI (well, other than REITs), but I find reading about people who do endlessly fascinating. Your article, for me, was the equivalent of unscrewing the back of a watch and being mesmerized by all the thingummys and doohickeys ticking and turning in there. Today I don’t fully understand what I’m looking at, but it is fascinating and maybe one day I’ll be emboldened to get my hands in there and figure out what makes it tick. Lol. I’ve heard real estate called a lot of things, but thingummys and doohickeys is a first. I love it! I’m also fascinated by real estate investing and really all sorts of businesses. It’s a lot of fun. I always remember Buffett saying he is part business person and part investor, so understanding the inner-workings of the investments makes you a better investor. So, even if you stay 100% more passive investing, this sort of knowledge about different asset classes will help. I mean – this is the real-deal behind all of those REITS. They tend to go bigger, own more commercial properties, and get a little more sophisticated with financing than I do, but the principles are the same. I rented and apartment for 5 years before finally purchasing a place because I wasn’t sure about the job. This area is expensive, and while working my ‘normal’ job I don’t have the time, energy, mental energy to do a flip. Having a partner would help for sure, just someone else to make paint decisions or be held accountable to meet up at set times to work vs the draw of Netflix. I dated a guy who planned to flip a couple properties but failed to get permits (generally didn’t look into specific township requirements), and failed to get the other house completed in a timely manner. I have seen how much work it can be, and have some less than warm fuzzy feelings about being sort of involved in a flip. Yeah, not permitting a job will get you in hot water with the city. Yikes. Real estate does require some knowledge (although I wouldn’t say it’s that complex or difficult) and some contribution of your time and energy. That’s why it’s not for everyone. I have found, however, that a lot of that investment of time and energy is up front. Once the ball is rolling, it becomes much easier. Nothing wrong with that boring growth phase either:) Sure beats the opposite -exciting decline! Lol. It was especially frustrating because he asked myself and 2 of his friends if he should get the one property & all 3 of us said “NO!” but he did it anyway. We all helped out in our free time while working 9-5 jobs (he was unemployed for a while there). He still didn’t have it ready to rent to near by college kids, which was the original plan. Then the housing bubble burst and he sold for just under what he bought for, negating all the money spent on the upgrades. Mr. Carson funny seeing you here! I’m curious your general thoughts on the decision to sell or hold a property as you move on to a new destination. In your snowball discussion, would you just add a new property to the back end of the snowball? The other option is to sell the property and take the profits/proceeds to get the new property. Just wondering your thought process on the situation, what questions would you ask yourself? What numbers would you run, etc? Steven recently posted…What Would You Pay for Chicago Cubs World Series Tickets? Just so you know I’m paying attention I did see you addressed possible scenarios ahead. Hey Even Steven! Are you basking in the glow of the Cubs renaissance? What a year! I think there are probably different things to consider in your question. But I’ll do my best to address the bigger picture. In general, if you can sell something tax free and recycle the equity tax-free (like with a 1031 exchange), you’re growth will do better than just sitting still. Also in general, I think it’s more ideal to invest near your home if you can. I understand many people must go out of state to find reasonable returns, but all things being equal, you’ll gain more competitive advantages, market knowledge, and management efficiencies if your investment is nearby. So, those two things would push me towards selling and reinvesting in my new location. But there may be other things to think about that I’m not aware of – like maybe the numbers aren’t as good in the new location. 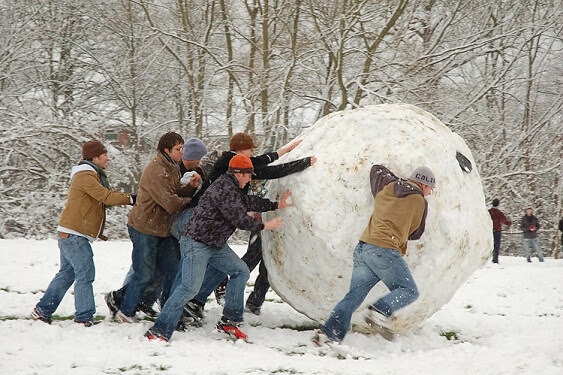 In that new scenario where you buy a new property, yes I’d just add it to the snowball. And if you play your cards right, you’re new property (or properties) will have even better cash flow to add to the snowball and pile it up faster. Fun decisions! Can’t wait to follow along with your progress. Great post. I’ve been thinking about making real estate more and more of my early retirement strategy. One problem I have is living in a high cost area, so I ended up buying out-of-state. It’s going okay but funding deals takes time…I’m not as comfortable with “creative financing” In any case, heard your podcast recently…enjoy the upcoming trip with the family. What a great experience to immerse yourself in a different culture. Andrew@LivingRichCheaply recently posted…How Will Your Children Pay For College? Thanks Andrew! Yeah, out of state investing seems to be tougher, especially when trying to find the deals. If you can find a knowledgeable agent on the ground, they are worth every penny (and more). But unfortunately those are not common from what I’ve heard. We’re excited about the upcoming year abroad. Lots of details to get into place, but we’re seeing the light at the end of the tunnel! I used to think real estate investing was a scam, to be honest. But I’ve really changed my tune after punching the numbers and becoming a homeowner myself. I don’t think it’s for everyone, but it’s entirely doable as a stream of revenue when done correctly. Yeah, the late-night infomercials certainly contribute to the scammy reputation. But real estate has been a solid investment since well before all of the modern Wall Street trends, and nothing seems to be changing that. Most of all – it’s approachable and intuitive to understand. We bought our 14 units after the market crashed in 2010. We’ve earn 10% back annually in income and they are the main source of our early retirement income. Oh, and they’ve appreciated 40% since we bought them. We paid all cash which helped us 1) get better deals and 2) get accepted in the first place (we didn’t have loans holding up our offers — something the sellers took into account when we bought). We had cash on hand plus sold some investments (took the capital losses as we could use them) to buy the places. That said, I wouldn’t be adverse to mortgaging them or future places if the deal was right. Our market is just too hot now to get any sort of reasonable deal. Nicely done! I like your general strategies and use of cash to purchase. Then you also had the boldness to buy at the time when others could not. It’s a beautiful result! This is exactly why I LOVE real estate! There are so many strategies you can take and none of them are wrong. Grant it you need to execute each one with a plan and make sure it is profitable but anyone can do it. I am definitely in the growth stage and probably will be for another handful of years but all I can think about is the end game when i will be FI!!! Exactly Alexander! The idea is just to pick a strategy that makes since for you at this time and place of your life. Then execute the heck out of it! Thanks for the awesome detailed article!!! Wow, $100k towards your mortgage with rental income! That’s awesome. Care to share any more details? Article links? Incredible blog. Real estate is definitely a viable way to generate extra income to financial freedom. For the past few months, my wife and I were renting a 2 bedroom apartment in the city of Le Havre. I’ve heard stories on how lucrative Airbnb can be so I decided to experiment with it. Surprise, surprise. I found out that I could essentially cover our entire rent of the apartment by just renting out the spare room that we had. What we were doing is not so different from Mustard Seed Money. Now, we are actually looking to scale our Airbnb project by purchasing a 3 bedroom apartment. Not sure, if we’ll be able to achieve 100K euros in rental income, but it’s definitely a possibility. This is a superb post and I’ll definitely be dropping by your blog more often. Thank you for sharing your story! I love it. Airbnb, Uber, and other services that allow us to monetize unused assets are amazing. With housing as most people’s biggest expense, it’s a game changer. And thanks for dropping by the blog. I look forward to staying connected! Great advice here! We currently have a property that was barely breaking even. I bought it years ago with the purpose of living in it. Somehow that didn’t pan out so I turned it into a rental property. After I got my epiphany and became focused on FIRE, I converted the property into a 2-apartment house since it was a huge one-family home with 6 bedrooms. We also paid off the mortgage after getting married with 401(k) loans which we paid back. The mortgage had a 7.6 interest rate and refinancing was going to be a huge headache so the best option was to pay it off. It was the best decision we made! Today, the property brings in a 10% ROI. We plan to sell the property before we retire because it’s not in a desirable area for us but are looking for options now to invest in real estate. We’re certainly into different options including the self-directed IRA. We’re about 2 years away from retirement. Great insights explained in simplest way..
What would be your recommendation for someone living abroad to get into US real estate rental income (retirement) who is between your stages 4 & 5 and can afford an all-cash purchase at this moment. Which states/localities in US are more favorable for higher returns, lower maintenance (considering owner being miles away) which obviously needs a local agent and his/her commission eats into net return. Hi Sam, thanks for reading and for commenting. First of all, I must admit my personal experience bias. I have invested locally 100% of the time in my market in South Carolina. So I a may or may not not be the best person to ask the question of choosing the right specific market. But I do know market fundamentals in general. So here are a few ideas. I would also choose a place with solid long term trends in population growth and job growth. For many decades in the U.S., the south and western states around California have benefited tremendously from these positive trends. But three are positive pockets in almost every area of the country. Good article Chad. I like how there is no one best strategy. We use a combo strategy. – Sold some high value rentals and converted those into high income rentals. -We round up on mortgage payments to the nearest $100. -Pay extra on one rental until its paid down and take most of the cash for the next rental. The rest towards new purchases or improving units to increase cashflow on existing rentals. -Some of the rental income goes towards new purchases. I like all your ideas. Its always important to ne flexible in real estate. thanks for sharing! You’re an awesome example of how to apply many strategies in a synergistic way at the same time. Very cool!